Frontend Publishing Pro is the ultimate WordPress plugin for multi-author sites, article directories and blogs that accept guest submissions. 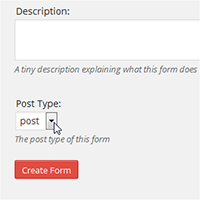 It allows your users to create and edit posts without having to use the default form in the admin area. 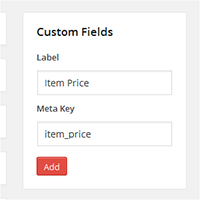 Adding and managing custom fields is a breeze. 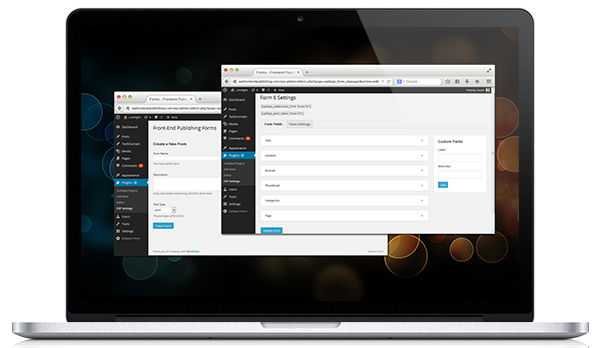 Create forms quickly and effortlessly with our intuitive drag and drop interface. 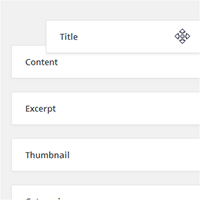 All custom post types and taxonomies that have a UI in the back-end area are supported. 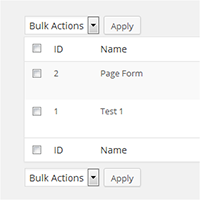 Create unlimited forms, each with its own settings, fields and restrictions.